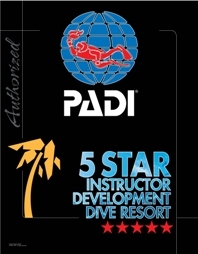 Diamond Diving is a PADI 5 * IDC (Instructor Development) Resort, twice awarded by PADI Europe in 2009 as “best new PADI dive centre in France” and in 2016 “in recognition of its exceptional commitment to the diving industry”. We’re a small, friendly family run centre, where the managers, Alex & Noémie, are also the instructors you will find in the water. We attach importance to creating a relationship of trust with our clients. 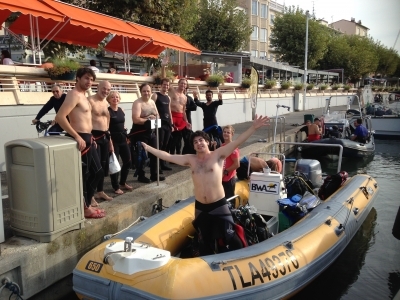 In March 2012, Alex became a PADI Course Director. We regularly run Instructor Development Courses and train Instructors to teach Specialties. For more images and videos of diving in the area join our Facebook page. Find Diamond Diving with Google Maps. The train is the best option to travel in the area in the high season (July & August). 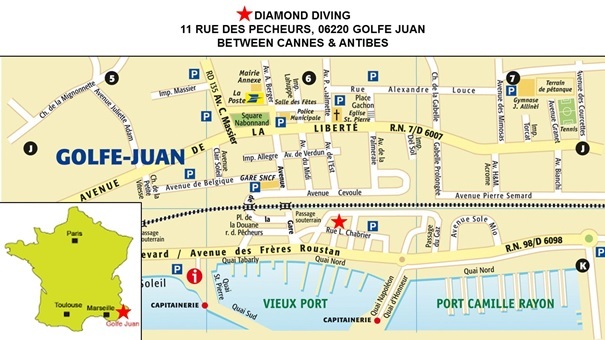 The dive centre is 200m from Golfe Juan-Vallauris train station. 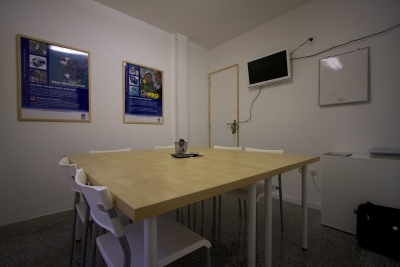 Modern classroom for Instructor Development Courses. Rental equipment storage and repair area (Aqualung rental equipment renewed regularly). Client welcome area with an OCEAN REEF & Aqualung ProShop. Compressor room with a COLTRI MCH36 Silent. We also have unlimited access to air conditioned showers and toilets in the Port. 6m 15cm Valiant DR 620 RIB with new tubes (2018) powered by a new Yamaha 150 HP engine (2018). 6m 50cm BWA RIB powered by a new Yamaha 150HP engine (2017). We have a maximum capacity of 18 divers including skipper, surface cover and instructors. We’re very lucky to have access to over 20 dive sites within a 15 min boat journey. We have all the obligatory safety equipment including a DAN Oxygen kit, VHF radio, GPS and depth sounder. Annual spot checks are conducted by the Gendarmerie.